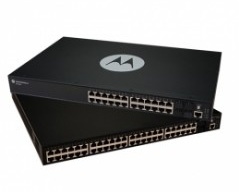 Are you looking for centralized management hardware for both wired and wireless networks The EX 3500 Ethernet switch not only meets these requirements, but does an outstanding job. The front panel of its slim housing offers either 24x1G EX3524 or 48x1G EX3548 with 4 SFP uplink ports for the greatest possible flexibility. The comprehensive security features ensure for fail-safe transfer, as well as secure data traffic within the network environment at all times.